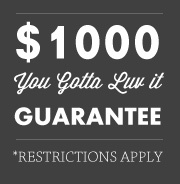 What is the “Ya Gotta Luv It $1000 Program? 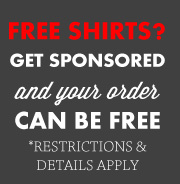 Is that for any customized garment purchase we make from you? Ok what are the brands? Ok, that sounds pretty good, what’s the catch or fine print? Wow that sounds almost too good to be true, why are you doing this, and how can you do this? Will the “Ya Gotta Luv It Program” be for the whole year or is there a time limit? C.A.T. has partnered with select apparel manufacturers to ensure you are 100% satisfied with your order from us or we’ll make it right. It means you can purchase from C.A.T. without fear of wondering whether or not you’ll like what you get. It means there will be no unpleasant surprises with your order when you receive it. It means C.A.T. will be putting its 30 year reputation on the line pledging “Ya Gotta Luv it”, or we do it over. C.A.T. will guarantee that your customized screen printed or embroidered apparel purchase up to $1,000, meets your expectations in terms of quality, fit, and decoration, or we’ll do it over with an alternate, comparable brand, or credit your account for any future purchase. This is a brand new program we’re rolling out for 2013, so we’re limiting it to a few select partners and brand names that are as committed as we are to ensuring your 100% satisfaction experience with us. 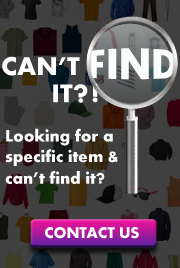 You must notify us within 30 days after receipt of product that there is an issue that needs to be addressed. After 30 days, if we don’t hear from you, we’ll know you were thrilled with your goodies, and our level of service to you. And that you’ll tell your friends how wonderful we are. If there is an issue you must submit a signed statement, along with a sample of the goods received, outlining the reason for your dissatisfaction. After review, we’ll ask you to send the goods back to us, and we will offer to replace the goods with a comparable product or credit your account for a future purchase. You will have 1 year from the date to utilize the credit or it will expire. We do not issue cash refunds. You will be responsible for the freight costs in getting the goods back to us. Product Care: All garments should be laundered in a gentle cool to warm wash cycle, with no harsh detergents. Hang or tumble dry on a low setting to minimize shrinkage of 100% cotton fabrics. Failure to follow outlined care instructions may void warranty. Remember 100% cotton fabrics are not as colorfast as blends, and some fading can occur over time. 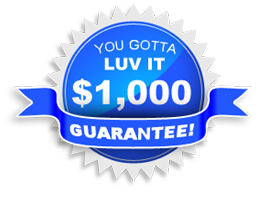 There is a maximum amount of credit applied of up to $1,000.00 per account, per year. An even better question, thanks for asking. There are a lot of companies out in internet-land, who can print or embroider apparel, but we are not all created equal, and it can be hard for consumers to know who to trust and where to invest their hard earned money. We want to take the risk out it for you. C.A.T. 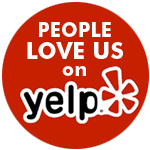 Specialties has been around for nearly 30 years, and we’ve prided ourselves on our quality and level of service. We want to offer a little peace of mind to those who have not dealt with us, and let them know their business will not be taken for granted, and we’ll work doubly hard to make sure they have a pleasant experience, and receive an excellent value for their dollar. It’s brand new for 2013, and along with our apparel partners, we’ll be evaluating how our clients receive it. There is no guaranteed timeline, and we will be monitoring it on a month-to-month basis. We do reserve the right to discontinue the program at any time and without notice. No, but we’d love to hear from you, please don’t hesitate to contact us via email at Info@catspecialties.com, or via phone 626-966-8250.